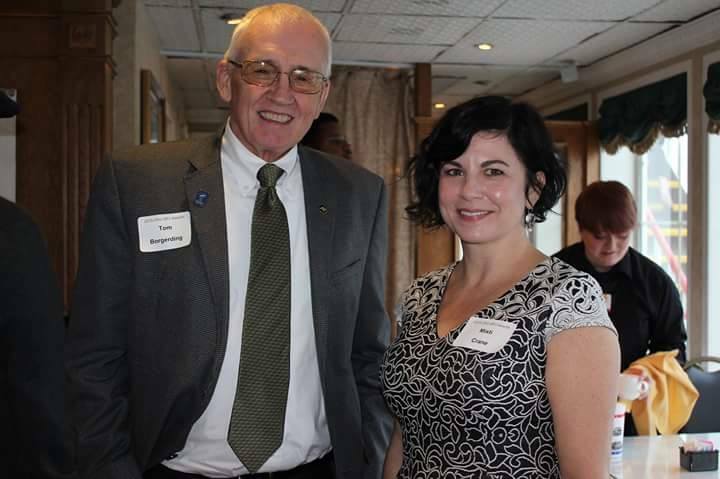 Central Ohio members picking up awards at the banquet included Tom Borgerding of WOSU radio and Misti Crane of The Columbus Dispatch. 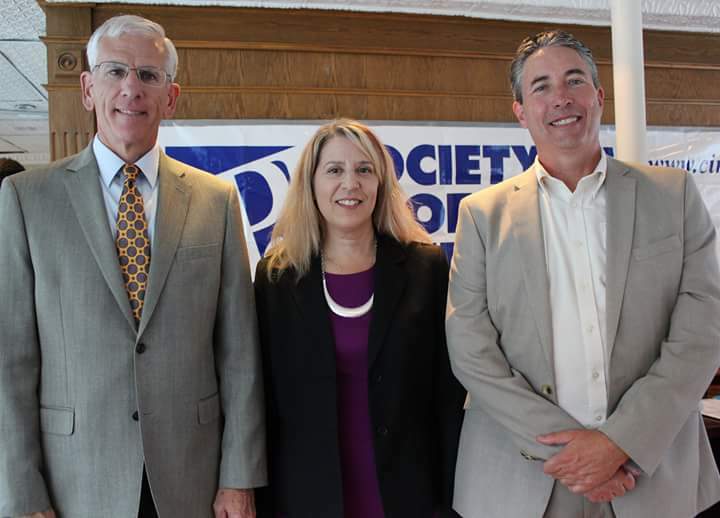 2014-15 presidents of Ohio’s SPJ pro chapters, from left, Tom McKee (Cincinnati), Kaye Spector (Cleveland) and Joe Meyer (Central Ohio), at the 2015 Ohio’s Best Journalism banquet. 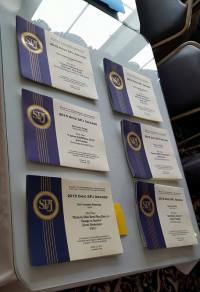 Award certificates await presentation at the Oct. 24 banquet in Cincinnati. Cincinnati SPJ President Tom McKee welcomes the approximately 60 guests to the awards banquet Oct. 24. 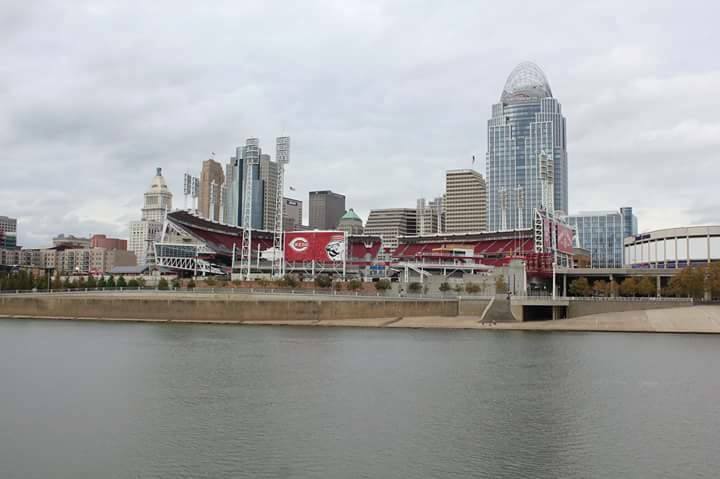 Paul Brown Stadium, home of the Cincinnati Bengals, viewed from aboard the Belle of Cincinnati at the 2015 SPJ Awards banquet. 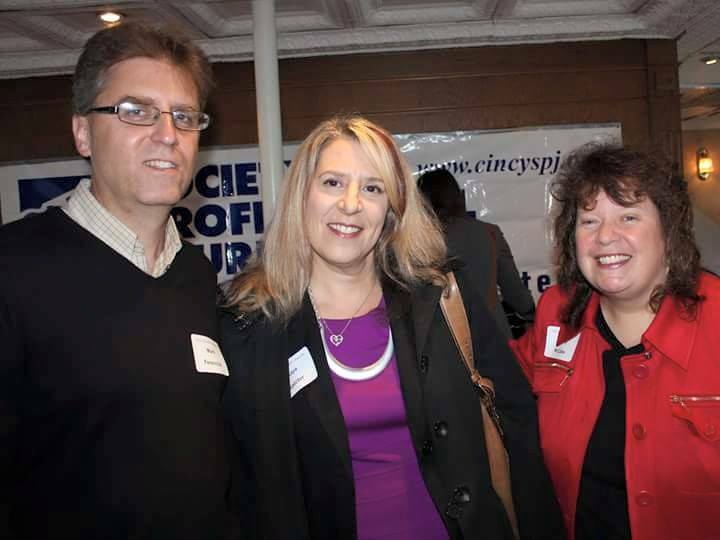 Winners in the 2015 Ohio SPJ Awards competition were honored Saturday, Oct. 24 in a luncheon banquet aboard the Belle of Cincinnati riverboat on the Ohio River. 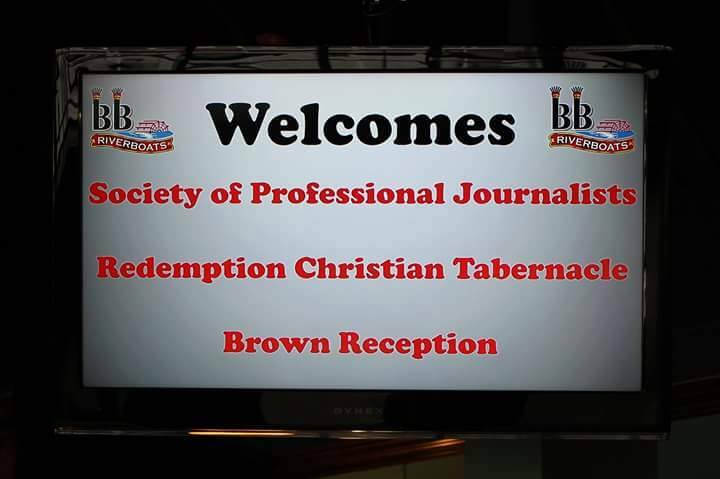 The annual contest is sponsored jointly by the Central Ohio, Cincinnati and Cleveland chapters of the Society of Professional Journalists. 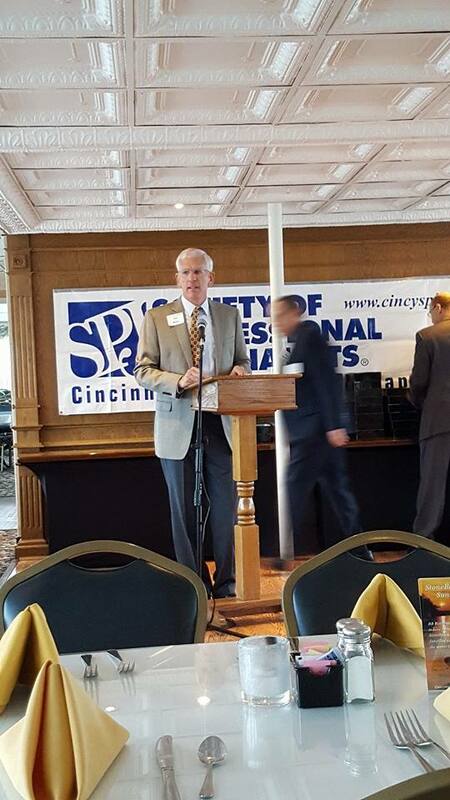 It is the only Ohio competition that honors journalists who fulfill the SPJ mission: defense of the First Amendment, support of literacy, resistance to censorship, advocacy for openness of public records and meetings, media self-criticism and community service. 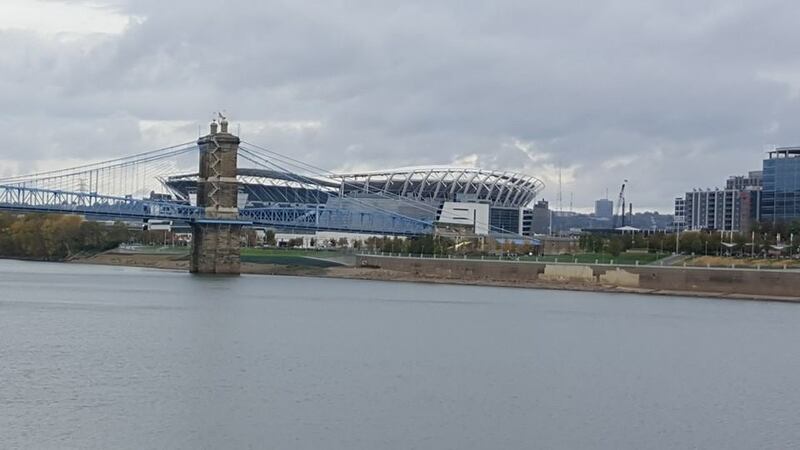 Some 268 awards were chosen from 611 entries submitted for the 2015 Ohio’s Best Journalism Competition. The categories include large circulation print (75,000 or greater), small circulation print (fewer than 75,000), radio, television, online, trade organizations, and college. Best of Show distinctions are awarded in all categories except college. $2,000 in scholarships are awarded in the college division. Entries were for work done in 2014. 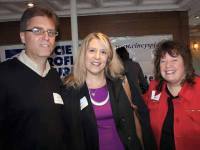 Judging this year was done by SPJ Florida Pro Chapter.